A study by The Sales Management Association revealed that sales leaders simply don’t spend enough time “in the trenches.” In fact, across every level of sales management, leaders surveyed spent more time with other internal functions than with customers or channels. If so, there’s a good chance that, like many sales leaders, you understand the power of sales contests. And so you know all about how the combination of competition and recognition that contests provide can create energy around key sales initiatives, ramp up sales performance and drive revenue. But that doesn’t mean you should spend significant amounts of time organizing the sales contests you choose to run. It means you should find ways to streamline the contest-launching process so you can get back in the trenches. Today LevelEleven is releasing a simple new “Sales Contest Task List” to help you do that. Our goal is for it to help you minimize the amount of time that contest logistics keep you out of the trenches. The minutes you save using the task list won’t get you back in the trenches – but they will get you closer. Research shows that sales leaders across all levels don't spend enough time in the trenches. 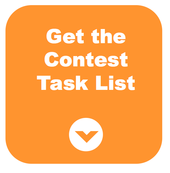 This "Sales Contest Task List" will help you get on your way.